Articles about skin cancer and skin cancer prevention and treatment. 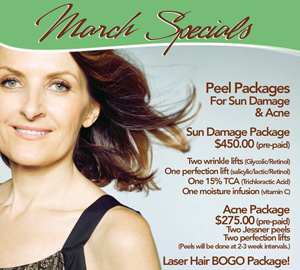 In March of 2014, Vita offered several specials on acne peels and laser hair removal. Those specials have since passed, however, you can still visit Vita Dermatology for acne peels to reduce sun damage and acne, or keep your legs nice and smooth with our laser hair removal treatments. 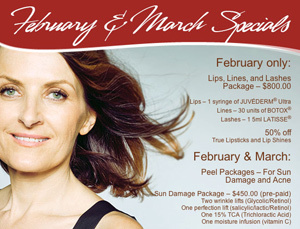 In February & March of 2014, Vita offered the Skin Care Specials below. These specials are no longer available, however, you can still come see as at Vita Dermatology for more Cosmetic Dermatology Treatments to reduce your wrinkles and improve your skin.